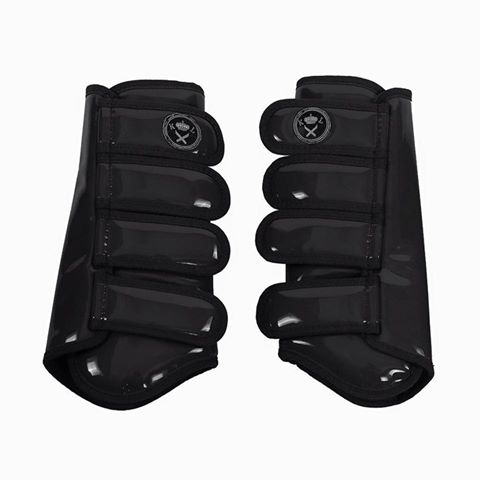 Back protection boots. Made of eco leather, finished with a neoprene trimming. Shiny surface. Fastened with Velcro, one of the Velcro is decorated with the brand's logo. Available in two practical colours. They will make a perfect set with Burnie front protection boots. 100% polyurethane.